To see a fly in a dream refers to ill-intentioned person, temporary disease and facing with truths. To see mosquito in your dream forewarns you that you will catch a disease which prevents you from doing your jobs but is temporary. To see a house fly in a dream means that you hear boring statements. It also refers to an enemy who doesn't give harm to you. To kill a fly in your dream signifies that your enemy will be afraid of you because of your job and achievements. If you see blood as you kill a fly, this dream tells that your enemy will accept your superiority. To dream that you eat or swallow a fly may imply that you will get rid of your disease, postpone your debt, and cancel a problematic travel. To catch a fly in a dream signifies that you will get the intention of ill-intentioned person. If the fly you caught still lives, ill-intentioned person will want to harm you again by not using the second chance which you give to this person. If the fly dies, this dream tells that you will keep your distance from ill-intentioned people. To see a dead fly in a dream means that you will face with a person whom you blamed wrongly. If you see many dead flies in your dream, you will regret for your relationship you finished unfairly and you will apologies but to redeem yourself won't be easy. To see a fly on honey, bread, flour or beverage in your dream means that there are goods which you waste or you make too much expenses for pleasure. 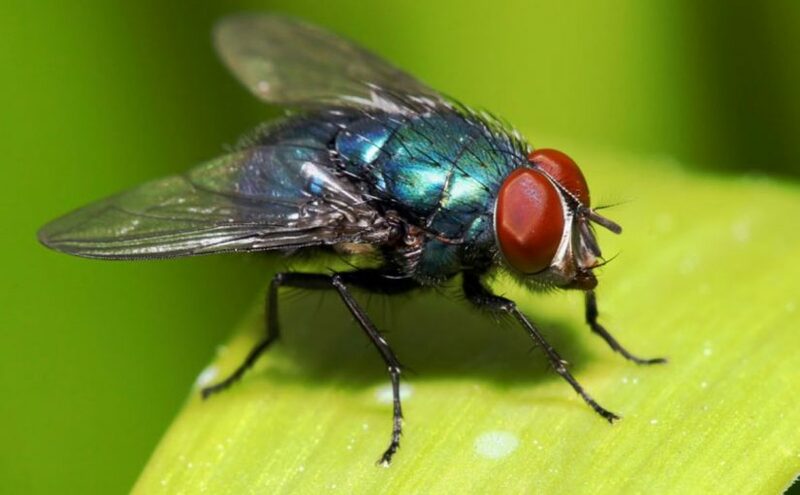 To see that there is a fly on dirt or flies accumulate on a bad thing in your dream symbolizes that you attach more importance to people who are with you in order to use your commodity and prestige. If you aren't careful, expenses which you make for these people will be a problem for you later. To dream that a fly bites or stings you indicates that a person who reveals the hostility to you will benefit you deliberately with his/her behaviors. To see a fly in the mouth, nose, eye, front or back in your dream may indicate that a person from your family makes a friendship with your enemy without knowing. Until you notice this, your enemy gets secrets about you. To hear whine from a fly in your dream indicates a weak, insignificant enemy which disappears spontaneously. If you hear buzzing from a fly, it refers to an enemy which isn't powerful from you but will be dangerous if it isn't paid attention. Actually my dream starts with some people trying to destroy an evil being but 1 of the people falls (aka) dies but 1st it rains then the person dies after some time the brother of the dead person gets close to his brother’s body and sees a bunch of flies in his dead brother’s body and to get rid of them he slams on his hands on the dead brother’s body and many flies start swarming about and as they swarm around the brother that is alive catches this fly and takes it with him to show it to somebody and thus the brother that is alive tells this person to please revive their dead brother.